Like a glowing piece of artwork, Ariette combines both form and function. 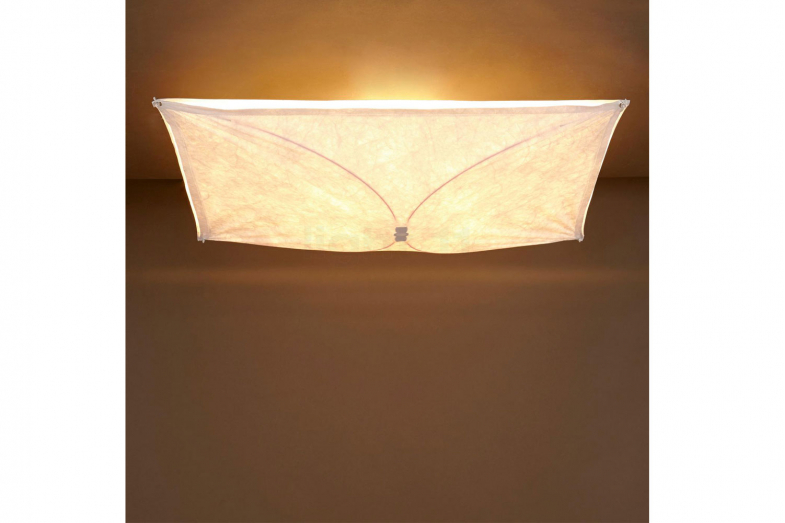 Designed by Tobia Scarpa, this wall or ceiling-mounted fixture provides diffused lighting through its synthetic fabric diffuser. The ceiling fitting is composed of 30% fiberglass reinforced polyamide.